Wilson Reserve is one of a number of parks along the Yarra River in eastern suburban Melbourne that protect vegetation communities and wildlife. Wilson Reserve is used by people for walking and bike riding as well as wildlife watching and photography. For more information visit the City of Banyule website https://www.banyule.vic.gov.au/Services/Parks-and-Facilities/Wilson-Reserve. 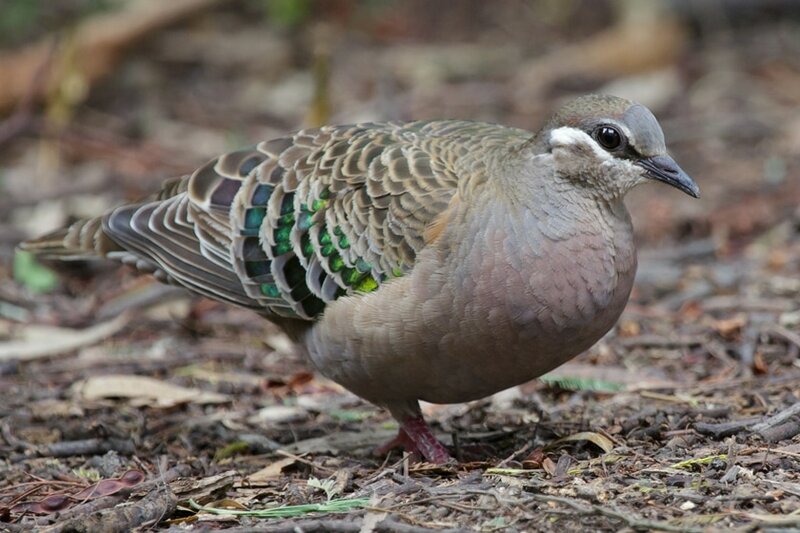 Header image: Common Bronzewing foraging. Members of the BirdLife Melbourne ﻿Photography Group﻿ visited Banyule Flats and Wilson Reserve on this middle-of-summer day. The early morning at Banyule was cool with thick cloud and mosquitoes. As the day progressed, the cloud thinned and patches of blue sky appeared. With the sun shining warmly after lunch at Wilson Reserve, birds were active and sightings increased, but some of the small bush birds, such as Brown Thornbills, Silvereyes, Grey Fantails, and White-browed Scrubwrens barely kept still and were generally at least partly obscured by vegetation. This made photographing them quite a challenge. The mosquitoes continued to follow us closely and made the most of our inattention to them when we were trying to photograph birds and other wildlife. The ground-foraging Common Bronzewings Phaps chalcoptera took little notice of us and were relatively easy to photograph. However, even they did not keep still for long in their constant quest for food. 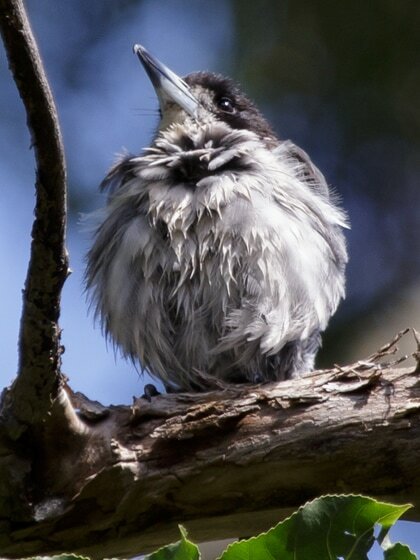 Grey Butcherbird mid-preening and apparently post-bathing.